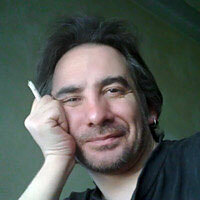 Onnik Krikorian is a journalist, photojournalist and blogger from the UK now resident in Yerevan, Armenia. He is also the Caucasus editor for Global Voices, a major citizen media site established by Harvard University’s Berkman Centre for Internet & Society, and also writes for the London-based Frontline Club. Covering issues as diverse as ethnic minorities, human rights, democracy and conflict in the mainstream media, his online work also covers the same topics. In particular, his most recent work (http://oneworld.am/diversity/) focuses on the use of new and social media in Armenia-Azerbaijan cross-border communication and conflict reporting, as well as eventual resolution, and has been covered by CNN, The Economist, World Bank World Development Report, The Huffington Post, BBC Azeri and others. Most recently it was presented as part of a panel and expert’s working group at the U.S. Institute of Peace in Washington D.C.